President Obama’s PDA and Cell Phone? President Obama has said that he’s going to say connected to the Internet and to email. If he does, he’ll be the first American President to do so. And while he professes his love for his Blackberry, that is certainly NOT the PDA that he’ll use to stay connected. 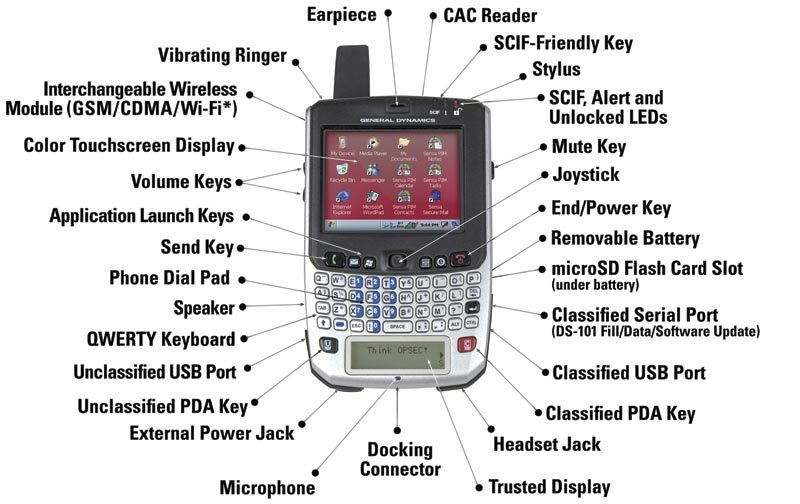 I suspect that our President will soon be photographed using a General Dynamics Sectéra Edge SME PED (“Secure Mobile Environment Portable Electronic Device”). And at only about $3,200, it’ s a real steal! Check out the full details on this little gem by visiting this site.